Next up for our Small Business Saturday blog series is Woolies Quality Clothier. This company was originally started by Alisha Kurtz in 2010. 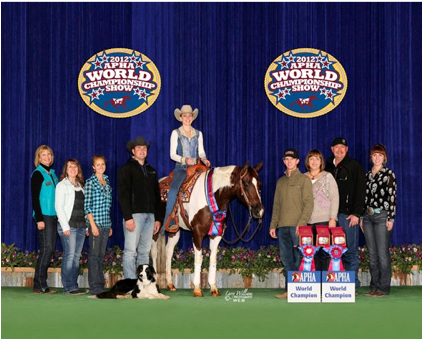 Kurtz grew up in the equine industry showing in 4-H and APHA all-around events. She continued riding in college for the Utah State Equestrian Team. Kurtz continues competing in amateur events today. Kurtz has a background working in public relations in marketing with APHA. She wrote about horses all day before deciding to go back to graduate school. She could never shake her love for horses and fashion when she came back to Utah the second time. Kurtz wanted her company to have a very creative and unique name. It took a multitude of people to come up with Woolies Quality Clothier. Being a business owner and a mother can be tough, but there are benefits. Kurtz enjoys the chance to be a stay at home mother and work when she needs to. Relying on yourself to be your boss can be challenging. Making the big step from your business being a side job to a full time job is also difficult for most people. Kurtz met Matt and Amanda Kimes at the WESA market. She tried on the jeans and fell in love. She was asked to set up a booth at the AQHA Novice Championship Show in 2013 and was hooked after that. KRJ has been her top seller ever since. Every business owner has a piece of advice for others wanting to take their same path. For Kurtz, the work has been difficult, but completely worth every minute. “Don’t be afraid to work,” Kurtz said. “The Instagram scroll of boutique life looks glamorous, but in reality it is a lot of hard work. Every NFR booth you walk past took days to set up. My booth is made up of 13 panels that weigh about 100 pounds each. Super glamorous. That’s just the set up. That doesn’t take in to account all the time spent planning, merchandising, inputting inventory, shipping, etc. You’re going to lose a lot of sleep, hair, and years, but you’re going to get to watch your dream become a reality. Check out Woolies Quality Clothing on the links and social media handles below!